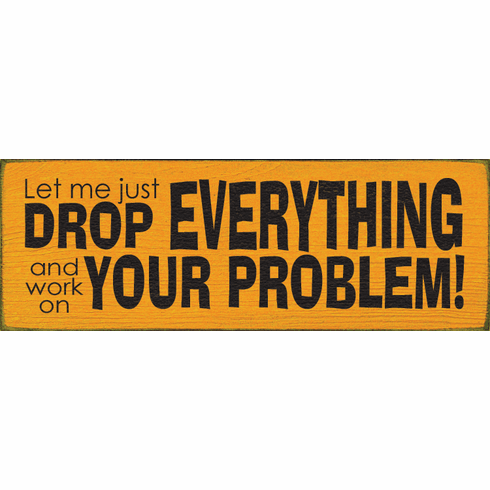 Funny Sign...Let Me Just Drop Everything And Work On Your Problem! Made from solid knotty pine. Routed slot in back for hanging plus flat edges for optional shelf-sitting.